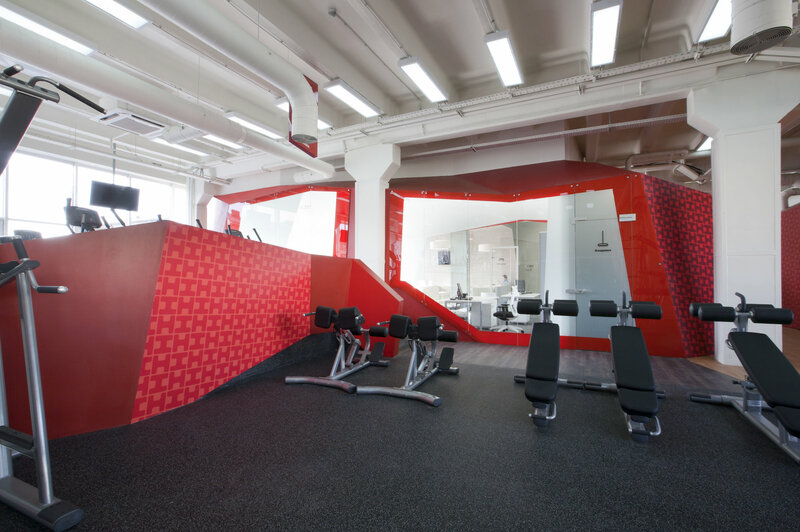 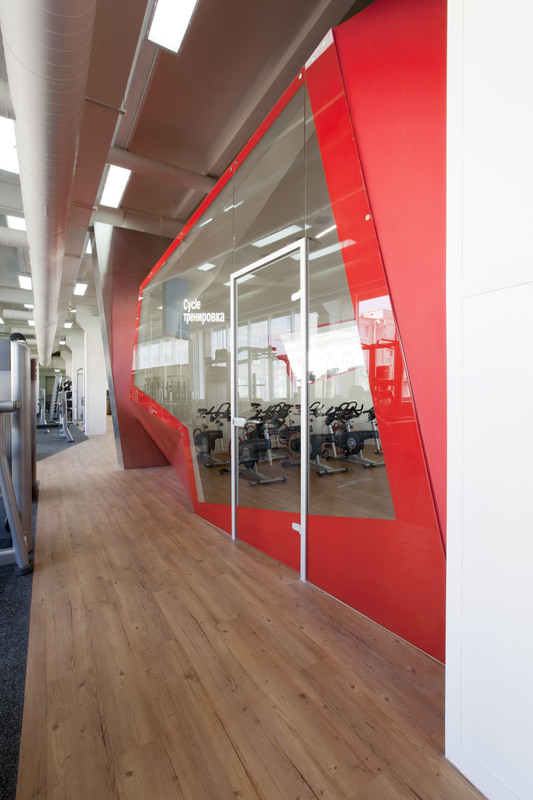 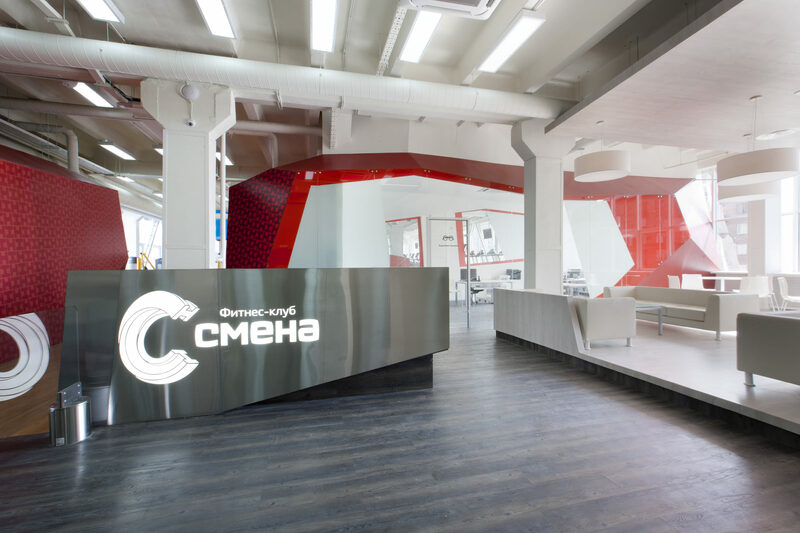 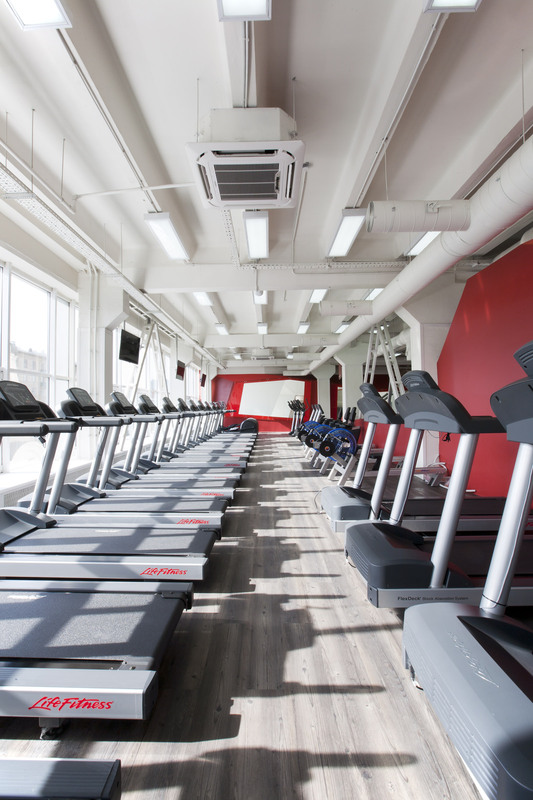 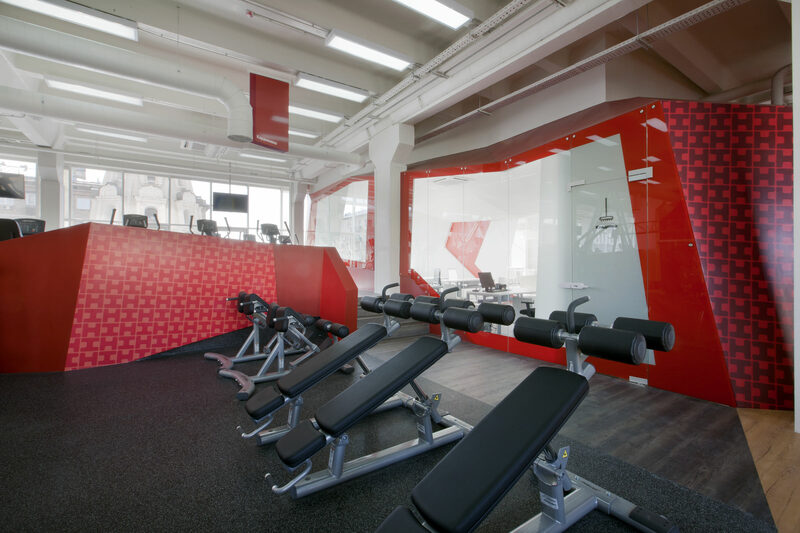 Smena fitness club in the za bor architects portfolio is the third sports-related project and the first realize object of this type. 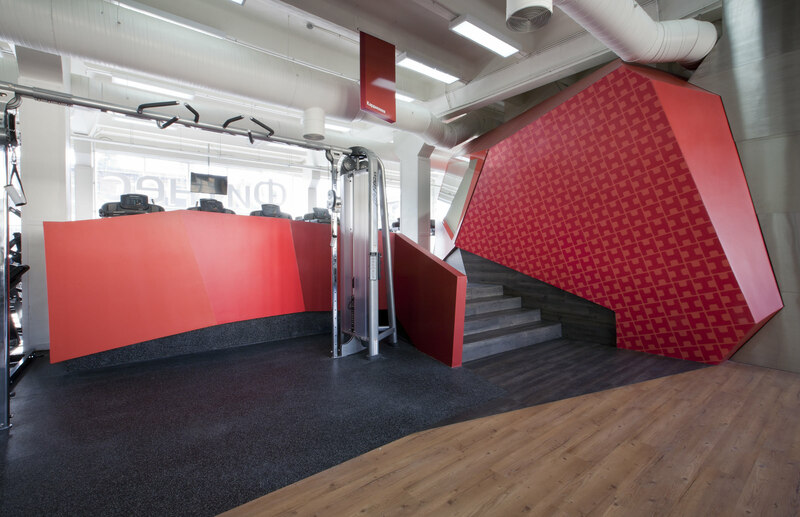 A private client who turned to the bureau with this project, wanted to create a large stylish club with high quality equipment and original design. 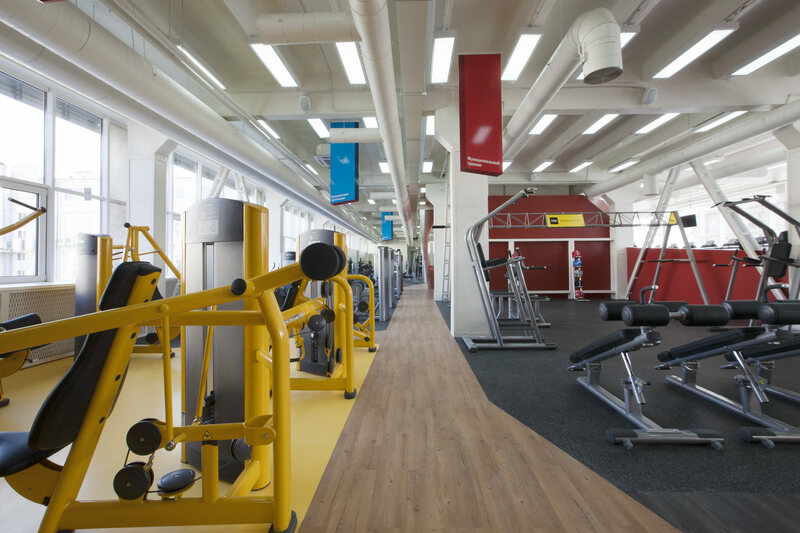 When designing the premises, the architects proceeded first of all from functional zoning. 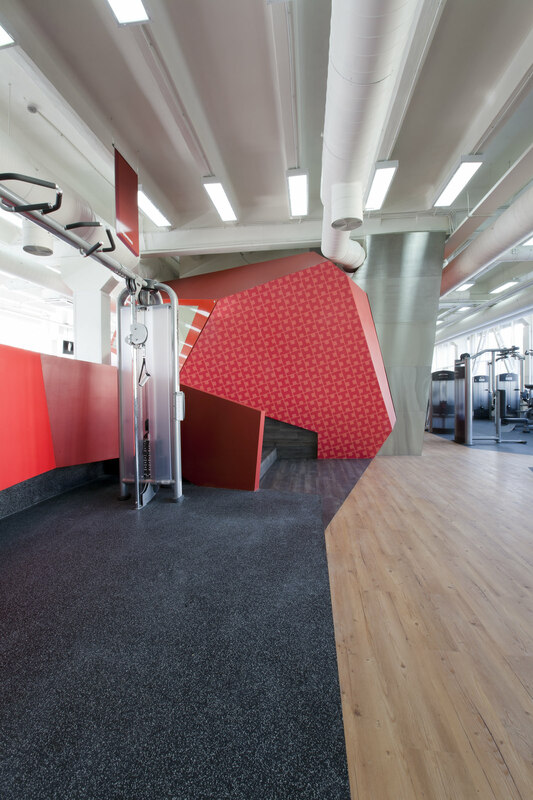 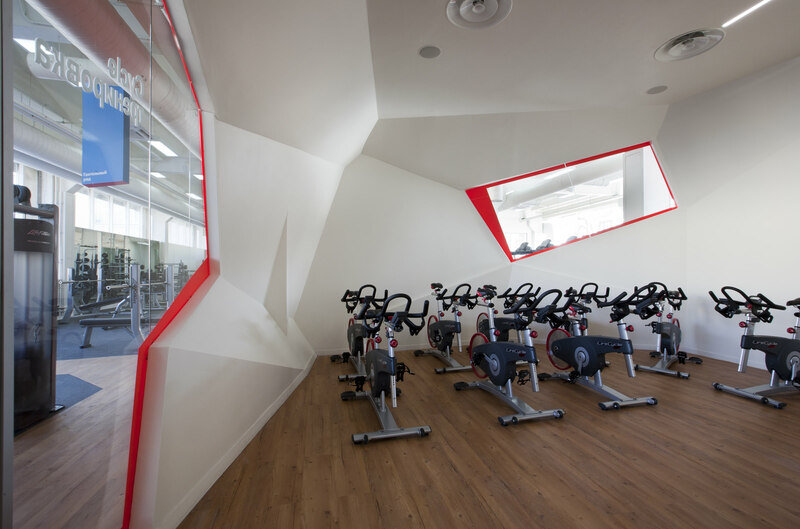 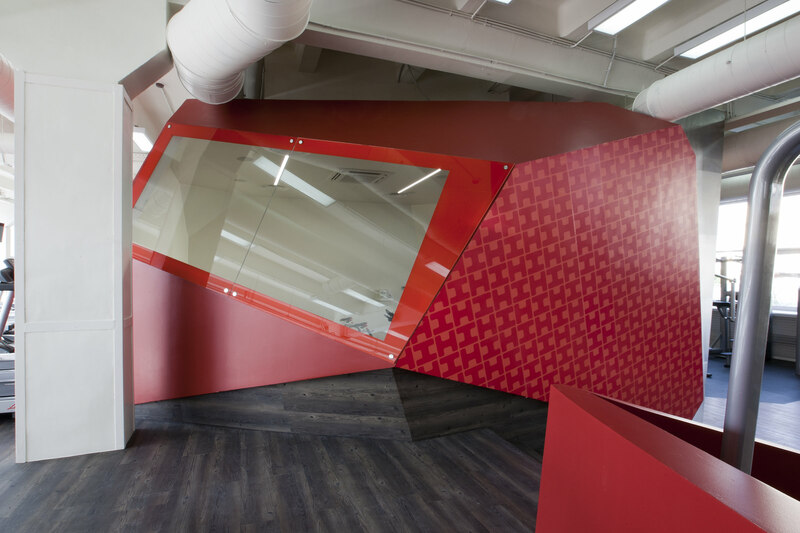 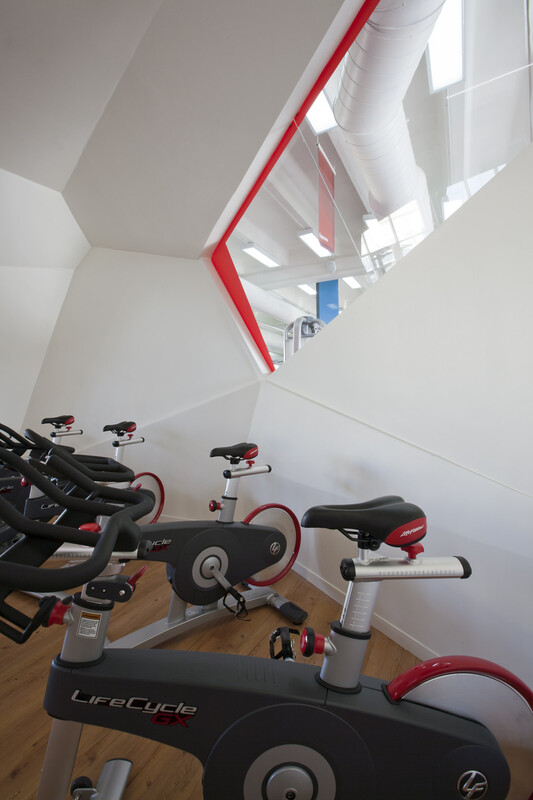 In general the fitness club is designed as a laconic space which is the background for dynamic broken volumes that symbolize in this project «dynamics» and «movement» as the quintessence of all sports and healthy lifestyle. 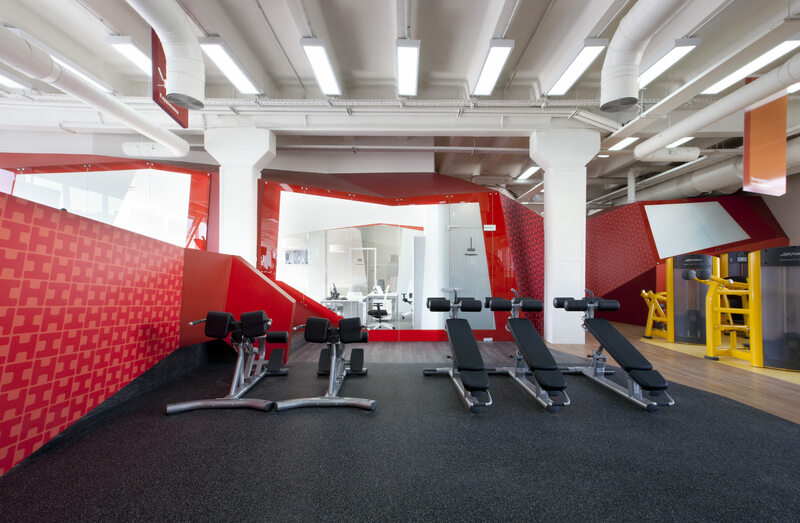 The functionality of various red volumes presupposes placing of locker rooms, coach rooms and other isolated spaces inside, as well as the division of zones according to noise level: in the two largest volumes located are a «silent» office block and a «noisy» hall with fitness cycles with a powerful audio system and constantly played rhythmic music.